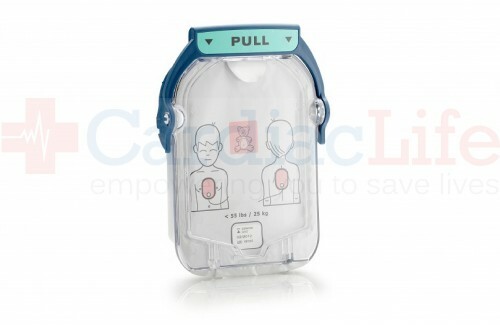 The Philips HeartStart Infant/Child SMART Pads Cartridge is for use in the Philips HeartStart OnSite AED. 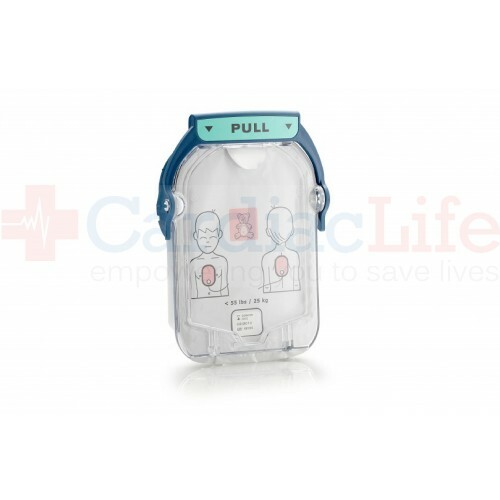 When the infant/child electrodes/pads are connected to the OnSite AED the joule count will reduce itself from 150 to 50 joules. For patients under 8 years of age or under 55 lbs. With the Philips HeartStart Infant/Child SMART Pads Cartridge, you'll receive Free Shipping. To be indemnified under the Good Samaritan Law, follow manufacturers guidelines. Use AEDSafetrack Program Management to document that your AED is compliant with local and state laws.